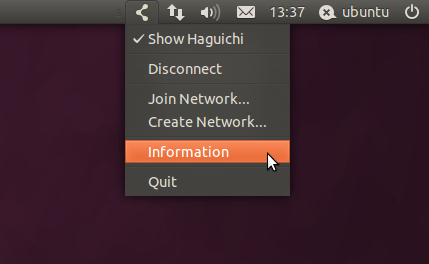 Haguichi is a graphical frontend for LogMeIn Hamachi on Linux. It is free and open source software licensed under GPLv2. Haguichi 1.0.23 has been released on January 11th, 2014. Improved internet connection check by using netcat and web request as fallback if ping fails (fixes bug #1258361). Wait for internet connection cycle is now using a separate thread. Configuration folder is now always opened in the default file manager. Added stock icons to open and save configuration menu items. Added scrollbar policy to the commands editor in the preferences dialog. Added complete Asturian translations (thanks to Tornes Llume). 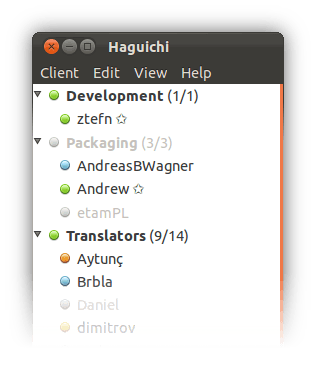 Haguichi is available in Launchpad PPA for Ubuntu 14.04, Ubuntu 13.10, Ubuntu 13.04, Ubuntu 12.10, Ubuntu 12.04, Ubuntu 10.04, Linux Mint and their derivatives.